The new EagleVail Community Pool officially opened for business this month near Vail, Colorado. Heated with a combination of Solene Aurora flat-plate solar thermal collectors and unglazed Heliocol solar pool heating panels, the town expects to save close to $100,000 a year in energy costs. 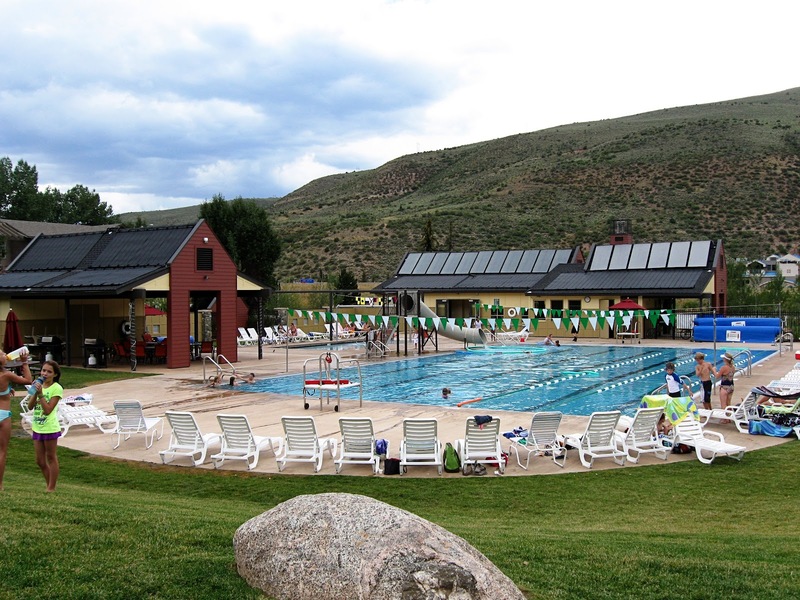 The new EagleVail Community Pool, near Vail, Colorado, is heated with a combination of Solene Aurora flat-plate solar thermal panels and Heliocol solar pool heating panels, saving the town as much as $100,000 per year in energy costs. To maximize efficiency, the adjacent buildings were expressly designed to accommodate the solar systems. Nearly every foot of available roof space is covered by the two types of solar collectors. A total of 17 Solene Aurora flat-plate solar thermal panels were installed on a steep pitch to generate maximum energy in winter, spring and fall while allowing any accumulated snow to melt and slide away. Because the region experiences extreme winter weather, the panels were filled with glycol and installed as drainback loop systems. The panels keep the outdoor pool at an even 55 degrees in winter to prevent freezing. In the summer months, 37 Heliocol solar pool heating panels will keep the pool warm and comfortable. Heliocol's wide variety of panel sizes gave the design and installation team the flexibility to cover nearly all of the remaining roof space. The Heliocol panels were installed at a low angle to maximize summer performance. The pool was built with $24,000 in county funds from the Eco-Build fund to help cover the costs of the $86,000 project. The installation was completed earlier in the year by Capitol Solar Energy in Castle Rock, Colorado. Excellent Job to everyone at Capitol Solar! Everyone in that community can really enjoy swimming in that solar powered swimming pool. If only there will be any solar swimming pool pumps available, I guess they will also install it.